If you’re looking for the perfect gifts and presents to buy your musician or music lover friends and family, we wanted to compile a definitive guide of our favorite picks out there right now. Whether it’s for Christmas, Hanukkah, Kwanzaa, a birthday or any type of special occasion, there are surprisingly some awesome, fun and meaningful music-themed gifts available (for not too much money, either). We’ll be honest as musicians we’ve already added a few of these to our cart to buy ourselves! We found about 20 presents to include below, so feel free to scroll around and see if any of these stand out to you. Let’s get into it! To start off our list, and definitely in no particular order, this gift is great for a broader music lover friend and family base without a hefty price tag. Vinyl Record Disk Coasters contain individually unique and witty labels, allowing you to find different forms of color, style and\or music genre depending on who you’re buying it for. Like any durable coaster, these record disks will allow you to prevent any surface damage as they are versatile enough to be used by cups of all different sorts. What makes these a great gift for all music listeners, and more specifically some of the best gifts for musicians, is that they contain silicon anti-slips on the bottom of the coaster, making sure both their table and work is protected from liquid spills. They’re if nothing else a great conversation starter and a quirky and easy addition to a studio, work station or overall home. 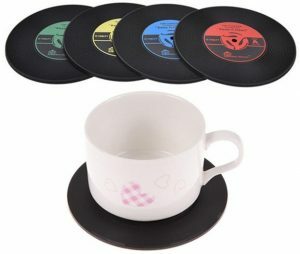 Vinyl Record Disk Coasters are the perfect gifts for coffee and wine drinkers or really any drink in general, and they also make for a great budget friendly selection as they’re more of an add-on type of gift. If you are interested in giving the best decorative present to your musician friends, Vinyl Clocks are a fun idea that are offered in various unique forms. 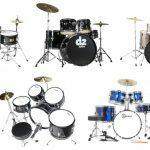 They come in different shapes, sizes and ideas, whether you are looking for a fun design to better shape a musical work station or just looking for an easy and fun addition to a room or home. Individually crafted typically by artists, you can most likely find one of your friend’s favorite classical record in the style of a clock, whether it’s The Beatles, Pink Floyd and more. They also offer more broad “music lover” designs that can cover a wider audience if you aren’t sure of the person’s particular taste. 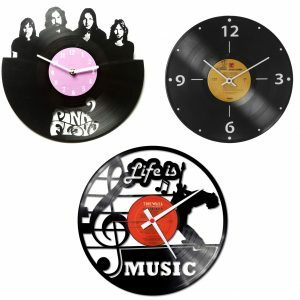 When it comes to decorative gifts, these Vinyl Clocks are a unique choice that make for a fun present that will without a doubt be appreciated by those who see it. Music beaded bookmarks are an amusing idea, especially when it comes to gift ideas for loved ones. 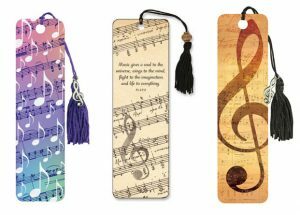 These bookmarks are printed with handwritten sheet music, offered in various styles, colors, and tones in order to help us match the personality of who we’re buying it for. For those who enjoy music, this is a fun addition to your reading sessions, and a handsome little gift for any music enthusiast. The bookmarks are enclosed with a protective plastic sleeve preventing any damage or grime that would otherwise make it less attractive. It is durable and sturdy as it is printed on smooth-finish card stock, which is the same material in which strong index cards are made from. Music Beaded Bookmarks are certainly growing in popularity, and are some of the more attractive ideas when it comes to smaller gifts that won’t break the bank, or perhaps be added to an assortment gift box for a fellow music loving friend. 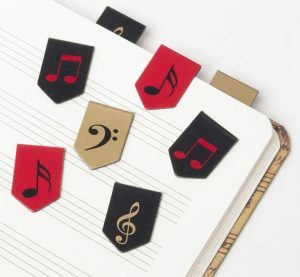 To add to our best gifts for musicians list, and in particular continued aim to those readers, these music markers are a unique way to keep track of reading progress regardless if it’s with sheet music or a general book. This is the ideal miniature gift for music enthusiasts everywhere and one that can be utilized for various different purposes. What differentiates these bookmarks from your standard bookmark is the magnetic aspect of it, which enables the user to utilize this page marker in more ways than one. This is a thoughtful gift idea for musicians that bring us as different way to enjoy your reading experience, and the fact that there are many types of styles out there will help us customize to whose personality we’re buying it for. We’d recommend packaging Magnetic Music Page Markers with the previous bookmarks we listed for a nice little thoughtful combo. Here we have a cute gift idea for music fans everywhere. These music coffee mugs come in various different ideas, shapes, and sizes, making them one of the best gift ideas for music lovers as well. Whether you are shopping for your music instructor, parents, family or siblings as a thank you gift, or a present your friend’s birthday, this is an easy and unique present that can be enjoyed by just about anybody. You can purchase these mugs by size, for example if you are a large coffee drinker, you can look for them in 12 oz. or 18 oz. sizes, while still having a little room for cream and sugar. It has been said that the lip of these mugs is known for being a bit thinner than your regular old coffee mug, making it a bit more pleasing to sip out of. The best part about these Music Coffee Mugs however is you can virtually craft it the way you want (lyrics, phrases, specific instruments, etc. ), some even come with matching coasters. 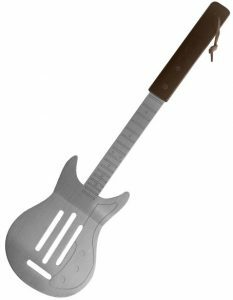 If you are a music lover or know somebody who is, the Rock Guitar BBQ spatula now allows you to be the life of the party at your family barbecues. This is a strong spatula that will allow you to flip your burgers or steaks with ease. If you are playing music while grilling, this is such a fun tool that allows you to serenade your guests with an air guitar solo. It can be a great Father’s Day gift idea that will allow pops to add to his grilling collection. If you know somebody who is both a grilling enthusiast as well as a music lover, this is a great combination gift making it one of the best presents for music fans. As long as music is involved, the Rock Guitar Spatula is a fun and quite clever addition to any grill. These stainless-steel bottle openers (most of them) are the perfect addition to any musician’s party cabinet or drawer. This makes for the ideal gift for music lovers as it offers not only a creative way to open your bottles, but also looks super cool. Coming in pretty cheap, this openers make for an affordable and fashionable incorporation to any bar or counter top and is also built in a modern ergonomic design that will prevent any effort when it comes to getting your bottle to open. 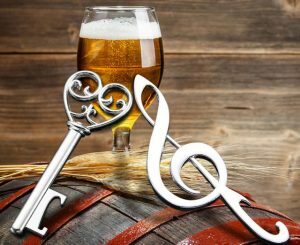 Regardless of the event, the Music Note Bottle Opener is a thoughtful present idea that can be used in all different settings, making it another one of the best presents for music enthusiasts. The music note wall clock adds another decorative touch to any room whether it is placed in the kitchen or a music studio. These clocks come in various different types, including a “true” clock which by definition has a striking apparatus that sounds after each set of interval. Some come with the regular numbers we’re all used to what we love is the fact that a few out there entail the musician to use their note-reading abilities to read it! 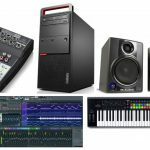 Whether you are looking for a binary clock, a shelf clock or a personalized wall clock, these music oriented clocks are a fun addition to any musician’s studio. When it comes to “out of the box” gift ideas, these Music Note Wall Clocks rank among the best presents for music lovers. Ideally used by music composers, these musical journal diary notebooks definitely make for one of the best gifts for musicians. 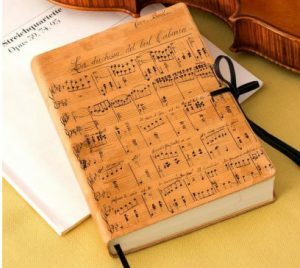 Some may assume these are used strictly for writing “in music language”, but they can very well span through multi-use and accompany the recipient’s wishes, such as a diary, journal, lyric pocketbook and more! As many are weighted perfect for portability, this notebook can also be the ideal grab and go journal in case they have a spontaneous song or lyric idea. If you have a loved one who is in the music world or just plays for fun, the Music Themed Notebook is a creative gift idea that will show love and support and is quite safe since most people can never use too many notebooks. They come in many different colors and styles. A fun, creative gift for your music loving friends and family members, these charm necklaces show both love and affection. They are created with custom sterling silver that is polished with high quality (most, check who you are buying it from). If you know somebody who enjoys music or might happen to be a musician, this here makes for a thoughtful gift that is a great gift idea regardless of the occasion, especially if they’re jewelry lovers. Necklaces with Musical Notes are another gift for music lovers we’ve come across that is offered in many different styles, shapes, and sizes, so you’ll be able to custom-choose for your friend or loved one. Nothing symbolizes intimacy more than jewelry, not to mention a musical themed necklace or even bracelet can be absolutely perfect if it fits for you who you’re shopping for. 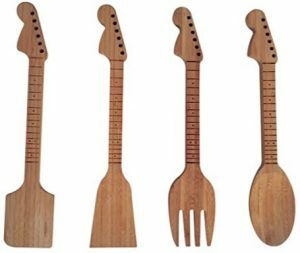 Something for both the musician and the chef, the Guitar Neck Kitchen Set is an easy and clever gift to buy for a wider music loving audience. This particular model is a set of 4, including a spoon, spatula and a salad fork, making this a practical gift choice if you are having issues being creative. This highly rated kitchen set is made of 100% bamboo which enables them to be both sturdy and durable. Though this is a wood based kitchen set, the Guitar Neck Kitchen set is perfectly safe and splinter free. This is a great choice when it comes to coming up with neat little gift ideas for musical friends and family. 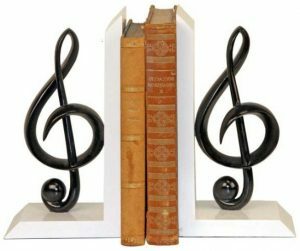 A fun idea to keep your books organized, the Music Note Bookend Stand is a perfect gift idea for musicians that won’t be a disappointment, as pretty much all of us have some type of bookshelf or shelving in the house that this can be placed on. They come in as a pair of sturdy metal book stands (we’ve seen a few in wood, too), preventing any concerns of your books being too heavy to sustain. These bookend stands are a great addition to an office or library, or even if they don’t want to use them for “books” can simply act as decoration on a nearby table or shelf. We love Music Note Bookend Stands for more of a “why not?” gift as it will be loved by essentially any gift recipient who likes musical themed decor they most likely haven’t thought of yet. The 3D Piano Lamp is about as fun as it gets, and one of the best gift ideas for music lovers who are into quirky presents. Regardless of the occasion, these musical instrument lamps are a great addition to a bedroom or musical studio. Offered in various creative styles, this 3D lamp comes with 7 color change household desk accessories. When it comes to quick, easy, yet thoughtful ideas, this simple to use lamp comes with great visualization and fully customizable multicolored use. 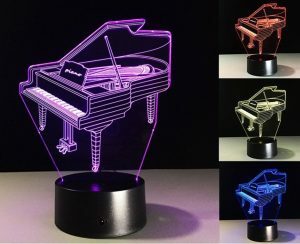 If you know a music enthusiast and want your gift to stand out, let this 3D Piano Lamp take over as your next birthday or Christmas gift. There are also other “3D Lamps” out there in other musical styles aside from piano, so feel free to browse around for the perfect fit depending on who you’re getting it for. At this point we could decorate an entire house with musical-themed gifts! 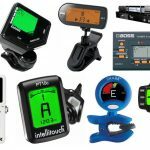 Coming mostly in metal, there are quite a few different models out there to choose from. We like the smaller units since they’re more cost-efficient, but if your musical lover has a large family, you can buy a larger model that fits up to 5 coats and jackets. We can even see this being used in a bathroom for towels. 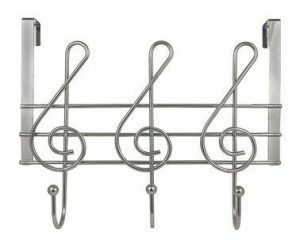 The Musical Note Door Hanger is a nice little addition to home, and great gift idea if you’re sure your musician friend or family member will use it. It’s a non-intrusive and quite clever addition to person’s home, not to mention if you’re living in an area where a coat hanger is a necessity. With how many blankets and pillows we have ourselves, a musical-themed one here or there would be an awesome addition to our couches, beds and more. The blanket in particular is highly rated on websites around the net, but we’ve also seen some extremely clever smaller pillows to add to an existing bedding to cap off our touch when we’re done making it. Add it to a couch and you’ve got a nice and warm musical feel to your TV watching or guest-hosting experiences. Music Themed Decorative Throw is perhaps a little more risky since we know people are quite picky when it comes to how their home looks; however, it may be the perfect fit for those who already have some music themed decor around the house or want to start doing so. As long as we’re decorating the home, we can’t forget about the bathroom, right? We love the cleverness of this one. We’ve seen soap dispensers and toothbrush holders like we’ve pictured above, but have also come across some other neat bathroom accessories you may like, such as shower curtains (as well the hooks! ), toilet seat covers, towel racks, tissue holders and more. 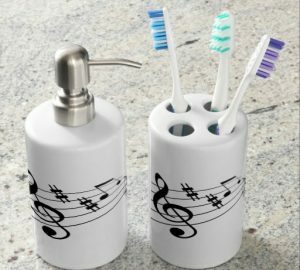 Music Bathroom Accessories are a super cool idea as the best gift for music lovers, although it may be too much if the person isn’t into decorating or thinks it’s dorky. Others however would absolutely love this one. As a more far our present for musicians, nothing is better than getting a creative individual a gift they can be even more creative with. I remember growing up and having magnetic poetry kits on my fridge and would tinker around here and there with our family through out the week. This particular set however is musical themed and serve as a nice addition to a bland day as your recipient can place this on their fridge, keep it in storage to bring out for game night, or really stick anywhere in the studio that has magnetic capability (careful of the gear). 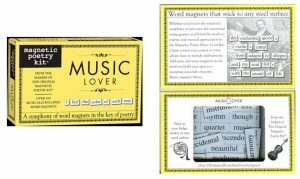 The Music Lover Magnetic Poetry Kit is more thoughtful as it is unique and not as safe as other gifts. 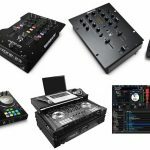 What’s the point of loving music if you don’t have anything to play your tunes with? As we’re sure most people in the world today have at least some type of playing device, we wanted to mention wireless Bluetooth speakers in case it appeals to your search for your particular music loving individual. We’ve probably given out at least 5 wireless speakers to various people we know throughout the past decade — it’s safe, more of a “why not?”, isn’t as easily replaceable as other gifts, and can very well serve as an upgrade to whatever they currently have to listening to music. Who knows, maybe your musician friend or family member hasn’t heard of Wireless Speakers yet? Or perhaps they want a portable device they haven’t added to their toolbox as of now? 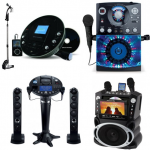 Apple products remain as one of the most popular gift selections for music enthusiasts. Super easy and very practical, the Apple gift card allows the purchaser to select from song choices, podcasts, or books of their liking all in the iTunes store. Nobody knows you better than you, so let your loved one choose for themselves and don’t fear them disliking your gift. Everybody wins. 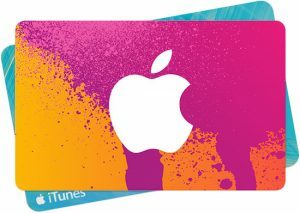 The iTunes Gift Card can now be used towards 3-12 month subscriptions, or give them access to over 40 million songs and exclusive playlists. We list these gift cards at the bottom just to be safe, and it may be something you also provide your recipient along with a few of the fun gifts we’ve listed previously. Easy, thoughtful, and sure to be used by your music connoisseur loved ones. The easy comparison is this gift card to iTunes, however there really is no comparison. 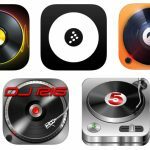 Studies show that significantly more users are switching from iTunes to Spotify, and there is no sign of those figures regressing. Regardless of the type of music you are a fan of, Spotify offers it all, making it one of the best gifts for music fans all over the world. 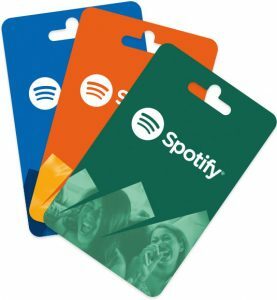 Gift cards are often considered to be given with a lack of effort, but for how much this particular program offers the user (we’re using it right now), the Spotify Gift Card is worth considering. It can be even better if your recipient hasn’t heard of the service yet — they’ll be hooked in no time, all because of you!